I've got a weird wiring situation in my kitchen (just bought the house). "A" (a dimmer) in the picture controls both a light (let's call it light "X") and (wait for it) the smoke detector! "B" has 2 switches. The bottom controls the garbage disposal, the top controls another light (light "Y"). What I'd like to do is have the switch on "B" that controls light "Y" also control light "X". Then I would simply blank out "A" so that power is always going to the smoke detector. I have confirmed that both "A" and "B" are on the same circuit. What is your best advice? Thank you! Pigtail the wires going to lights A and B together with a short 6" wire, and send that to the pole of your new switch, and supply the other pole with hot from the breaker. 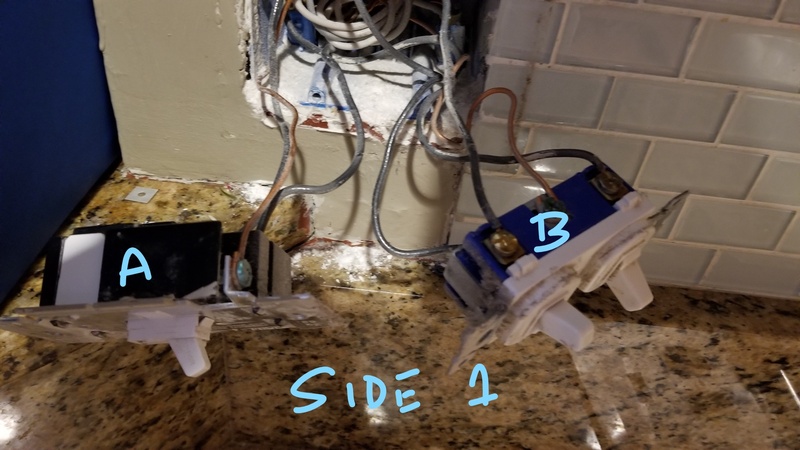 Send the wire going to the garbage disposal to a pole on your other switch, and supply the other pole with hot from the breaker. Then just send hot from the breaker to the smoke detector. Not the answer you're looking for? Browse other questions tagged switch smoke-detectors or ask your own question. Are these 3 switches wired correctly? 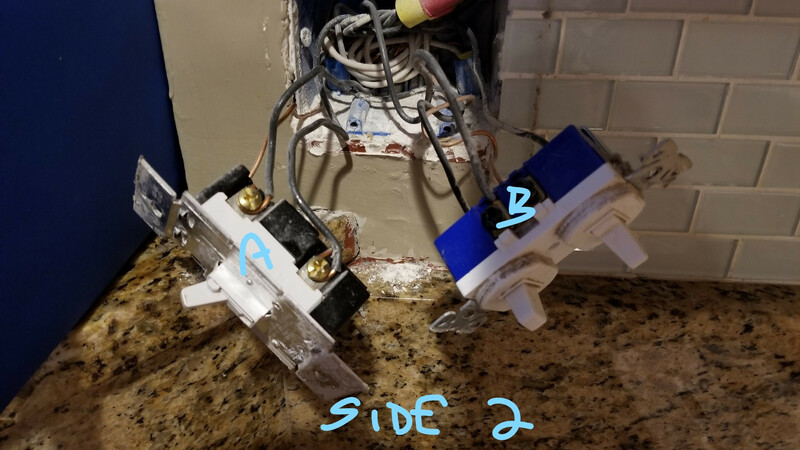 Wiring 3 way switch with pilot light?